For all of you not on Facebook we will now be posting updates on the game's progress here in the forums as well as on our website (http://www.cheekydingo.com) and on Facebook. 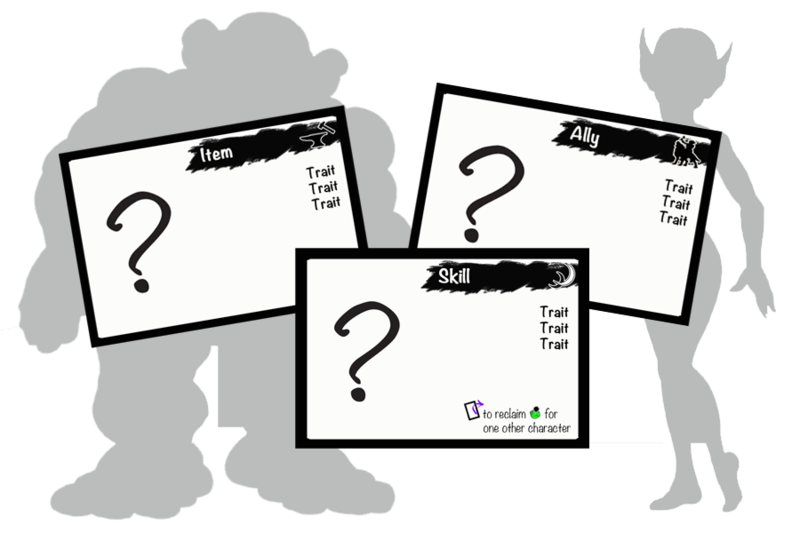 The biggest change, other than the revamped layout of all the character, hand and scenario cards is the addition of GROWTH tokens. Completing events and scenarios can earn you growth tokens to then spend on "upgrading" the characters. We just ordered two prototype copies which should be here by mid-March and we'll get cracking on more play testing. In the meantime, we'll put the final details together for the Kickstarter campaign so you guys can finally get to pre-ordering your own copies. WOOT! Oh wow... sounds VERY interesting!!! I've been looking forward to this for a while -- the older EQ RPG was quite complicated and hard to get into, whereas the board game (while fun!) was simplified to the point where EQ felt like more of a brand tie-in. Anyone who follows the updates here will get to see how much care and attention has gone into getting the feel and characters right. The latest prototypes are on their way to us, so there will be more play-testing reports coming. We are waiting on one more manufacturing quote which means that very soon the pre-ordering of the game will be available through our KickStarter campaign. I am getting so excited for this! Thanks for the updates! You all also have the chance to help choose three of the Wolfriders to appear as playable characters in the starter set. There will be seven of them. Cutter, Skywise, Nightfall and Redlance are already set but you get to decide the other three. All the other Wolfriders will come in the first expansion set, so don't worry if your favorites don't make the cut, they'll be coming soon. So, we are using a couple of the covers from the Marvel editions of the EQ comics. Issue #1 will be used for the box top and issue #2 for the cover of the rules book. Since Wendy never colored them (they were done by someone at Marvel, I presume) we have to get the original art colored for our own purposes. Luckily, the AMAZING Rene Luke is available. She says she wasn't much of a fan of the flat colors Marvel used so she's coloring these pieces with all the glory of contemporary digitalization and her singular talent. They are looking amazing. Each time I see an update, I get so excited! Needless to say, I'm very much looking forward to this as well. Of all the game proposals that have crossed my desk over the years, this is the only one I've felt comfortable getting behind - not because there's anything wrong with RPGs or board games, but often because we're just not into gaming. This take, however, adds a social component that I've wanted to see in an EQ game literally for years. 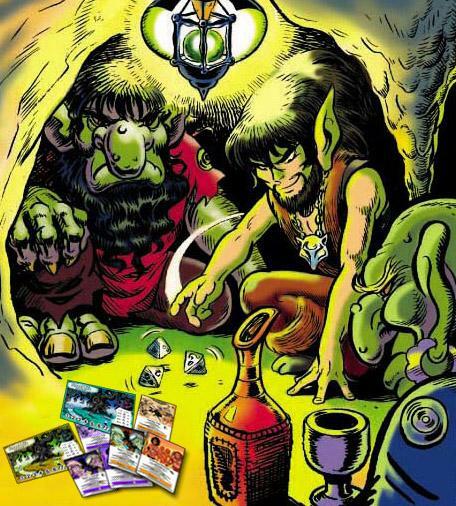 The Kickstarter Campaign for production of the ELfQuest Adventure Card Game will be launching tomorrow - Sunday, July 13th!! I made my pledge last night and tweeted about it. I hope lots of others do as well! 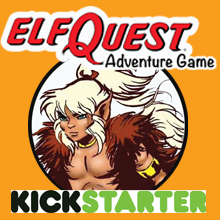 In less than 29 hours (of the 30 DAY campaign), the Elfquest Adventure Game﻿ got it's base level fully funded!!!! 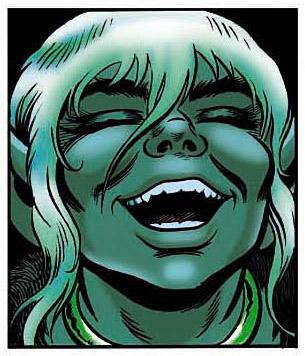 I suspected that my fellow ElfQuest fans were special people and they have gone and proven it. Feeling a smidge humbled and honored and wanting to howl (but I'm in a public place and ought to refrain). AYOOOOOOAH!!! :) So proud to be able to give back to EQ a little by helping bring this game to production! i will gladly be increasing my pledge to the $100 once i get more spending money, but for now i was more than excited to pledge $30! i can't wait to play this game, and even my husband (who isn't an EQ fan but has read the Original Quest and liked it) said that he's excited and can't wait to play this game! let us know if you need any play testers or feedback, i'm sure we'd love to help out even more!! keep us updated, @LaymanK, and KEEP UP THE GREAT WORK!! THANK YOU for putting the effort and love into creating something that i hope the fans are going to LOVE!! Tam said: It's officially funded. Well certainly! But they're past the first benchmark, which means they get money either way :) I think we can at least hit the second level, which is only about $7,000 away! I'm looking forward to perhaps organizing Skype games over the Scroll! Apparently the EQ Adveture Game campaign is making a loud enough howl to be noticed in "the lands beyond beyond." We're very proud! Check it out right here. I am SOOOO excited by all of this. Oh and there are now some AWESOME badges that folks can use to help promote the game. Below is one. Download them all here. They've just reached Level 2 in the campaign! Which means a larger print run and more availability. Now, if we can all take it that last 1/3 in the next 20 days, then the game will actually get distribution into gaming shops here and overseas! It'll be a quantum jump in visibility. You can do it! Check the entire program right here! Wendy & Richard, in their desire to contribute something with a personal touch to the Kickstarter efforts, will be issuing a limited print run of AUTOGRAPHED art cards featuring the newly-colored pieces (colored by Rene Luke) for the game box and the rule book. The back of each card will have a printed message from the Pinis and each card will be numbered. These pledge levels DO NOT include a copy of the game or any other reward, just ONE copy of the Cover #1 or Cover #2 (or both at the $95 level) signed art cards. If you have already pledged at another level and would like to add one of these rewards you will need to log into your Kickstarter account and add to your current pledge (either the $50, $51 or $95). Do Not change your reward level or anything else!! You will then need to send us a private message either through Kickstarter or to our email (info@cheekydingo.com) alerting us to your change and we will manually change the number of remaining rewards at this level. There's only five days left, and we're 94% of the way to the final goal of $33,000! That would get this game widely distributed, stocked in comic book stores, prints and reprints...wouldn't that be great? :D Another incentive was also introduced: a Print-and-Play option for $15, which can be printed from your computer in black and white, and it's the same price wherever you are, so if you're international, no worries about a shipping price hike. Also, if this game hits the final goal, everyone who's getting a copy of the game will get ANOTHER character to play with. The game will come with: Cutter, Skywise, Nightfall, Redlance, and three other characters dependent on votes from the poll @LaymanK linked earlier. Now, don't quote me on this, but as I understand it, if you get the game through this Kickstarter now, you get an exclusive character card, meaning it probably won't come out in expansions. If we hit the final goal...we get ANOTHER one. That's an extra two character cards we get before anyone else. How rad is that? We're just under $2,000 away from that goal. We've got five days. We can totally do this. If you have any friends who have been hemming and hawing over pledging, now's the time to push. If you can throw in another $5, do it. If you can share the kickstarter, share! We're so close! What @Tam said, in spades. Or even steamshovels! Less than $1400 to go - the momentum is high, and so are our spirits! Join Bearclaw and roll those dice to troll-whumping, dreamberry-gulping victory! One thing, I did have to "unsubscribe" from the e-mail updates I was getting from the Kickstarter page - there were WAY too many. I get that we should spread the word, but I already contributed as much as I could afford to contribute, so repeated emails begging for money just start to wear on a person. They may have just been updates but i felt like I was getting them way too frequently. Too many updates. I had to unsubscribe. I am excited to see how close the project is to getting funded! I just don't need all those emails about it in my personal inbox! FUNDED!! At $33,123, we've hit the final goal, which includes WORLDWIDE distribution! However! I really encourage anyone who wants the game to buy it NOW. The minimum to get the game is $15...that gets you the Print-and-Play black and white version, plus the Kickstarter exclusive card (base plus two growth versions, which won't be reprinted, ever! ), and another mystery character card (dunno if it's exclusive, but we get it first!). You have four days, so dig through those couch cushions! If you're feeling really adventurous, you can pledge $101 to get two art cards signed by Elfmom and Elfpop, plus a hard copy of the game, plus all that other stuff I listed. Where are our manners? Thanks to everyone who's pledged so far, the Elfquest Adventure Game has reached all three of the goals set in its Kickstarter campaign. For helping us (and Cheeky Dingo) achieve this, our deeply felt, heart-full thanks. And yet, there are still four days left to the campaign. There's still time to pledge, to raise the bar even higher, and to score some very cool incentive goodies that won't be available after the drive ends. We don't want to thank only those who've pledged so far - we want to include everyone. 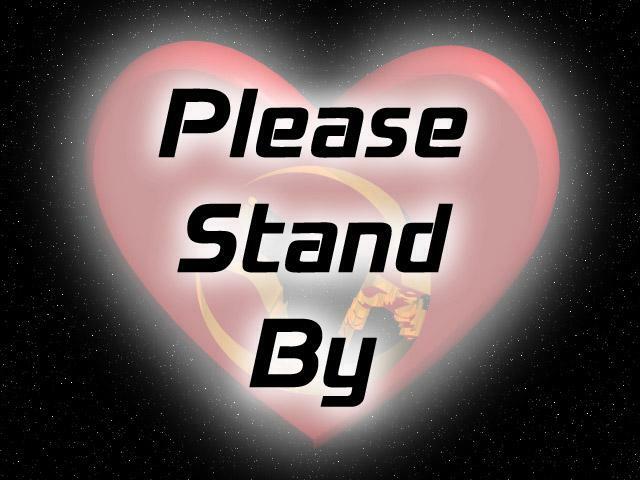 So... please stand by. 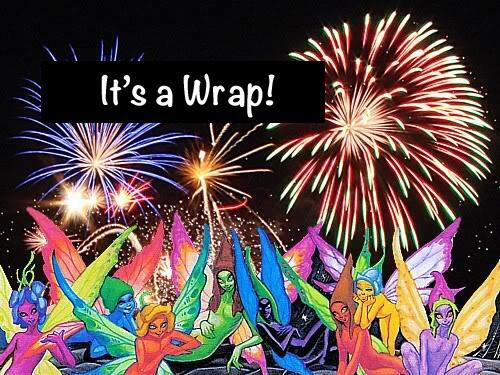 Come Tuesday morning (eastern US) time, when the other shoe drops, we'll gather everyone for the biggest cyber-group hug Elfquest has ever seen! Shadowfire - you have most certainly helped. Thank you for all your passion and your support. We couldn't do this without the help of the marvelous EQ community. @shadowfire-I second @laymanK. You have been so awesome and passionate in your support of this game. Thank you so much! By all the holy gobbledygook of Gotara! Pledges are still rolling in! If we can reach a $40,000 level of funding in these last three days, we will add in all 9 Hand Cards for both of the mystery characters for everyone at the $15 pledge level or higher. That's a total of 18 skill, item, demeanor and ally cards that accompany the characters and make them uniquely playable. And trust us, when you find out who the two characters are (who will not appear as playable characters in any of the planned expansion sets), you will want these cards!! My congratulations to EQ, the guys in charge of Cheeky Dingo Games and all the kickstart supporters! We're only $1,934 away from the final goal of $40,000, which unlocks the nine hand cards for each of the two KICKSTARTER EXCLUSIVE cards that won't get reprinted, ever. Donate $15 or more and you could be playing the print-and-play version of this game in a few short weeks. Donate $30 or more, and you get a hard copy of the game next year as well. We're SO CLOSE. Only 61 hours to go! People are still only just now discovering this campaign, so if you have gamer friends you haven't shared this with, tell them! We are gobsmacked at your (over 800 of you so far) enthusiasm and generosity. 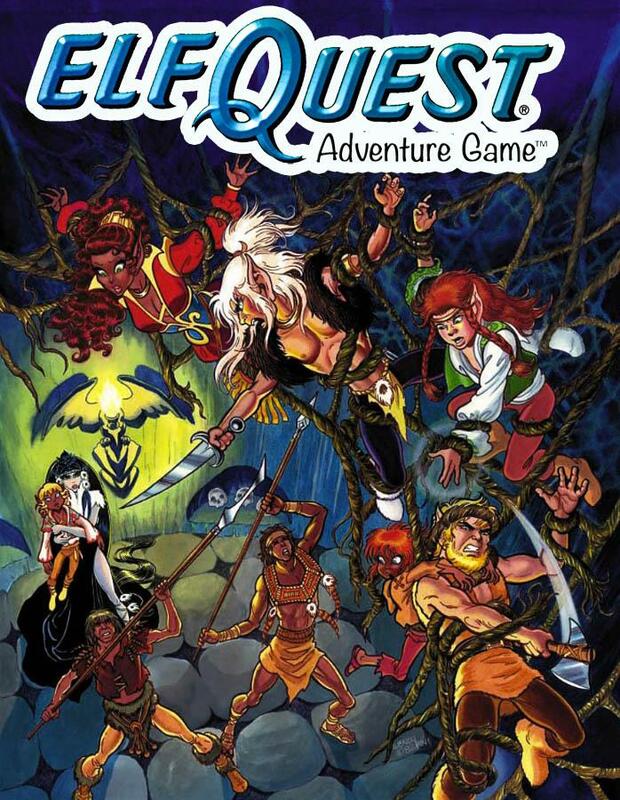 With yet another 36 hours to go, you've taken the Elfquest Adventure Game Kickstarter campaign past its extra, 4th goal! If you're only now hearing of this for the first time, you can still get in on all the extra goodies that Cheeky Dingo Games added as incentives. But for right now, we simply want to thank you all, each and every one, for helping make this dream happen. And then it was done. 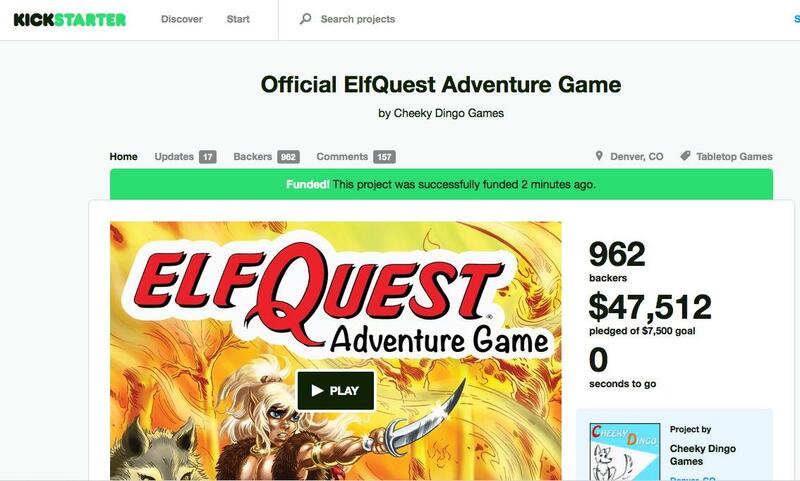 Our delighted thanks to each and every one who helped us and Cheeky Dingo not only meet, but wildly exceed the goal(s) for the Elfquest Adventure Game Kickstarter. Gather the tribes and play on! Congratulations, all! Can't wait to get my copy. A sincere and heartfelt "THANK YOU" seems wholly inadequate, but there you have it. You all have made this an amazing journey and now we can follow-through on our hard work and actually get the game into your eager hands! We will keep you all posted here, on the Cheeky Dingo website, and through the Kickstarter page as things progress with manufacturing and all that.